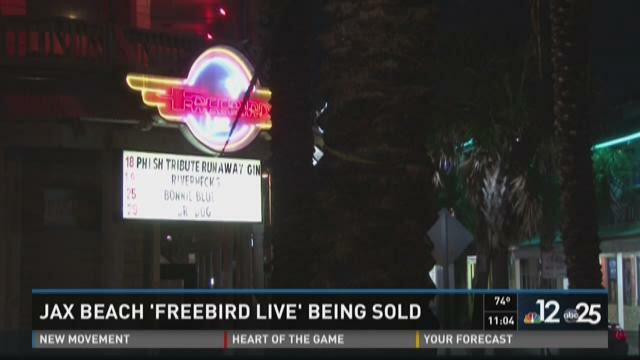 JACKSONVILLE BEACH, Fla. -- The famed concert venue Freebird Live was still having shows Friday night and says they plan to through at least December. Nonetheless, the sounds of Jacksonville Beach are soon going to change. Freebird Live is being sold and will become 'Surfer the Bar'. A news release from the group says the bar and restaurant concept will occupy the space and be managed by the same group that operated Salt Life Food Shack, which has two locations on the First Coast. "I am actually looking forward to something different," said Michelle Bianchi. "It could remain Freebird and re-do their format but I'm looking forward to something different being here on the corner after so many years." Bianchi has visited the corner concern spot for years. "It's about to be lost to a huge place that's going to be pretty corporate franchise that I'm not going to be wanting to go to," said Beth Killgore. Freebird Live says there are no plans to change the venue's concert schedule or cancel any of the shows already on the books. No word on a date when Freebird Live will officially close its doors. "I'm definitely sad because I've seen so many great shows here," Killgore said. While locals reminisce on years of good times, some say a new era for the busy corner in Jacksonville Beach could be a good thing. "Get the local people involved again in this place," Bianchi said. "I think that's what Lynyrd Skynyrd would have wanted."